This is my review of the new “mifi” device that is on offer currently from 3. The actual model of the device its self is the Huawei E5830. If I am completely honest I could not find any negative points with this device, however I do think there could be some minor improvements, rather than it using a traffic light system to display the status of the battery and the signal I would prefer to have for example the bars on a mobile phone you see for signal strength or a battery sign as at a quick glance you could sort of judge how much signal/battery life you have remaining. Also I would like it say HSDPA(High Speed Downlink Packet Access) when you are in the areas and to say 3G when you are in an area where there is only 3G coverage. You can easily identify this from the different colours, I just think with a better display it would finish the product off nicely. Also I think it would be an improvement to have versions of the software that would be cross platform, i.e Windows, MacOS and Linux, or even a web interface which you could connect to so you can configure the device from there. While having the device I decided to give the little modem a stress test to see how it would perform with several different devices all completing different tasks, for this I had a really old Compaq presario, hp 8710w, Asus eeepc 701, Macbook Pro, iMac and an iPhone, when I started all the kit up and started the mifi it just turned Orange on the battery life and with all six devices running i still managed to get a good two hours out of the device, watching F1 highlights, checking mail, playing World of warcraft, downloading and installing patches, connecting to a secure site using a vpn tunnel, while downloading clips on You tube. Not one one point did it seem to struggle with the load. On one machine alone I was also able to stream from iPlayer and watch an hour long episode of a program with it only once stopping for around 2 seconds about half way into the program. I was very impressed. I've just become a Free Agent for 3 and wanted you to know about all the free text, internet and calls to everyone on 3 you get with 3 Pay As You Go as well as an extra £2 credit you get when you order your SIM from me. To get your free 3 SIM and £2 extra credit, order from my link below. Just put the SIM into a 3G mobile and top-up by a minimum of £10 - the extra £2 credit will be automatically added to your balance within 14 days. Plus with 3 you also get free Skype-to-Skype calls and free Windows LiveTM Messenger on compatible mobiles, without ever needing to top-up. So there's no excuse not to keep in touch. My first impressions when the box arrived was this could of been a product from Apple, very clean looking well packaged and immediately you are think it’s a smart looking piece of equipment. After emptying the other items in the box I was very impressed with the setup “flash cards” you receive, this way it removes the daunting task of having to read the manuals and setup guides to get your device to work , all you had to do was see the simple cards which were well documented. Step by step they took you through how to get this device up and running. Also for the first couple of days you could easily carry the small cards in case you could not remember how to set it up or remember the WPA access code without having to carry a thick manual around. Within 2-3 minutes the device was up and had machines connected to it. It is so simple to use, a couple of button presses and you connected to the internet. 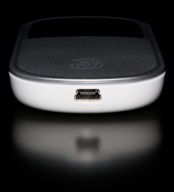 The device uses WPA encryption for all your traffic, so you can feel secure when using the device. As you can see from the pictures on the left the device its self is not very large you could very easily carry it around, it is light and very thin, most of the time I was carrying it around in either my trouser or shirt pocket. One major advantage in this over your standard USB dongle is that you can use this anywhere without the dongle poking out the side, I have seen on many occasions before when people are trying to use their laptops on the train steadied on there laps and people have knocked the usb modem out or banged into that moving the laptop. This way you can have internet access with out the accidents, also if you are feeling generous then you allow other to use your internet access. This device could also be very handy when going on holidays with friends/family, I have been on many trips with family and we are all breaking out the individual modems so we can all get access to the outside world, only one of these would be needed and everyone can then connect on the same network to the outside world. Business users could also take it on customer sites, so if they are not allowed to connect to the internal corporate network, they could still have full internet access. The range on the device is very good indeed, for one test in a office environment, in a straight line down the corridor, I was able to go 25-30 meters before the signal ran out which was excellent for a small device like this (Have to admit I did get some strange looks pacing up and down). When we used it in other areas like a function hall, people were still able to access the internet via laptops from sitting outside in the car park. The device came in extremely handy recently where at a kids party, all the bored dads at the back could connect their mobiles phones and blackberrys etc so they could browse the football scores, also we were able to upload pictures direct from the party to family members around the world. This device also came to rescue when my ISP broadband provider had some serious issues and I have no online access, thankfully I had this at the time and was still able to get online to finish work I was in the middle of trying to complete, as well as the other household members being able to log onto Facebook, as I am sure some readers will know when people can’t access facebook its like the end of the world !!!! With the software that comes with the device (Windows only), once you plug it in to the computer via the USB cable it will automatically install the 3 Wifi manager software. Once you load this software it first asks you the question do you want to change the password and SSID(Name of the network), so this way you would be able to set a good strong password and call the device something more meaningful to the individual. The device also has a micro sd card slot on the side, so I assume this could also be used as a storage device as well, the card I tried did not work, maybe it was my card or the feature will be enabled in a future firmware update possibly. To finish up I think that this is a fantastic bit of kit and, I have already ordered mine, as well as three other users who already have mobile broadband dongles will be swapping them out for a mifi. The coverage itself was second to none I would say 97% of the time I was on HSDPA rather than 3G, sometimes when my phone did not have 3G coverage and dropped to edge the mifi would still be on the 3G network, I think this is a must for all, even if you have it on PAYG, so in the event you have no internet access or go somewhere that has no access you will always be able to get online, so you can get that important, upload the photo, keep up with current events or just chat on IM to friends. £39.00 for the wireless modem. Meaning customers now have more options in terms of price. For full details of pricing I recommend visiting the 3 main site at http://www.three.co.uk/. A big thank you to Cally and all the staff at 3mobilebuzz who can be found at http://www.3mobilebuzz.com for allowing me to have access to the device and all their support, it was a pleasure in dealing with yourselves. Also I would like to thank Jack Hammond for the fantastic photos of the device you can see here in this review.